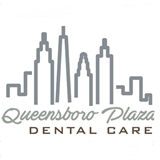 Queensboro Plaza Dental Care (Long Island City) - Book Appointment Online! My experience was great! Dr. Nguyen and the team were all very professional and courteous. The facilities are very modern and clean. I'm glad to have found a nice dental practice in my neighborhood!